Building lasting relationships is a wonderful outcome of church involvement. Knowing the importance of community, our church family provides many times for fellowship: sometimes with food, sometimes with Bible study, sometimes with small groups. Following Sunday worship we have our Heavenly Perks! This is our fellowship time with refreshments and conversation, hosted by church members each Sunday. Other fellowship highlights include the Easter Breakfast, Sunday school Kick-Off Pancake Celebration (Sunday after Labor Day), Christmas Caroling and Soup Lunch (in December), Ice Cream Social (in July), and an inter-generational Vacation Bible School (evenings for one week in July, including dinner). Also available is Women’s Association, which meets for monthly lunches and programs on the third Thursday of the month September through May. Women are also encouraged to become part of a smaller Circle that meets monthly. Youth Fellowship is offered regularly during the program year, with special opportunities during the summer, as well. 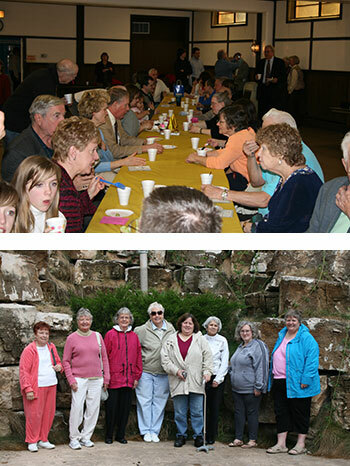 In addition to local events and mission projects, we also partner with other churches in the area for fun activities. We participate in Presbytery of Chicago youth events, and have had Youth Fellowship members at the previous two Trienniums (world-wide gathering of Presbyterian Youth every three years at Purdue University, IN). Other activities include a 30-hour Famine to raise funds and congregational awareness of world hunger, fund-raising dinners at church, and Confirmation Retreats for 7th and 8th graders.